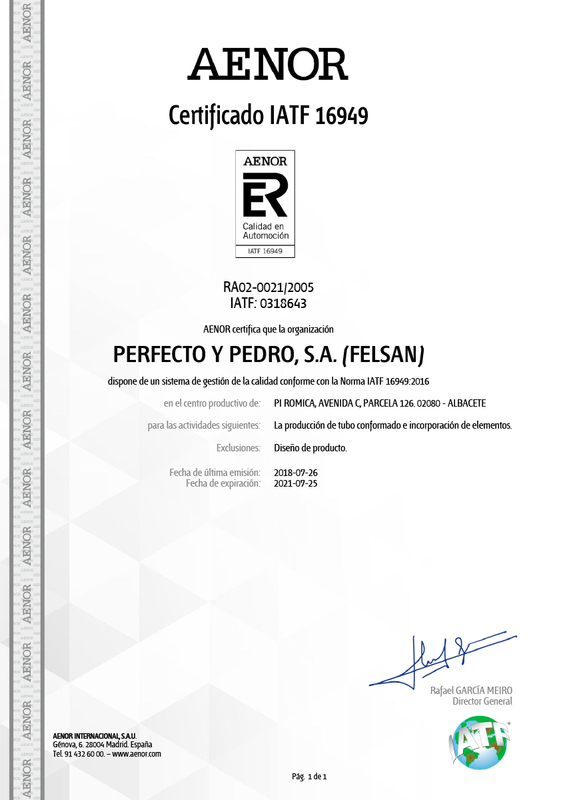 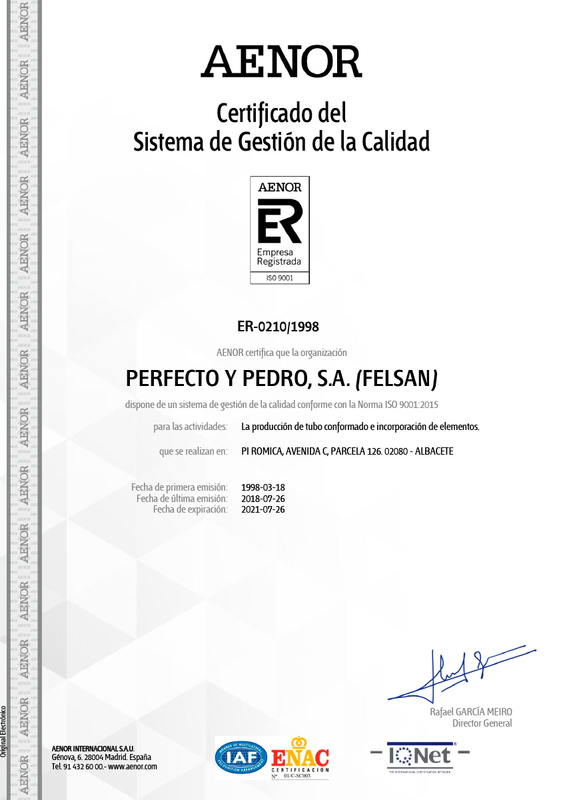 FELSAN is approved for some customers for manufacturing security parts. 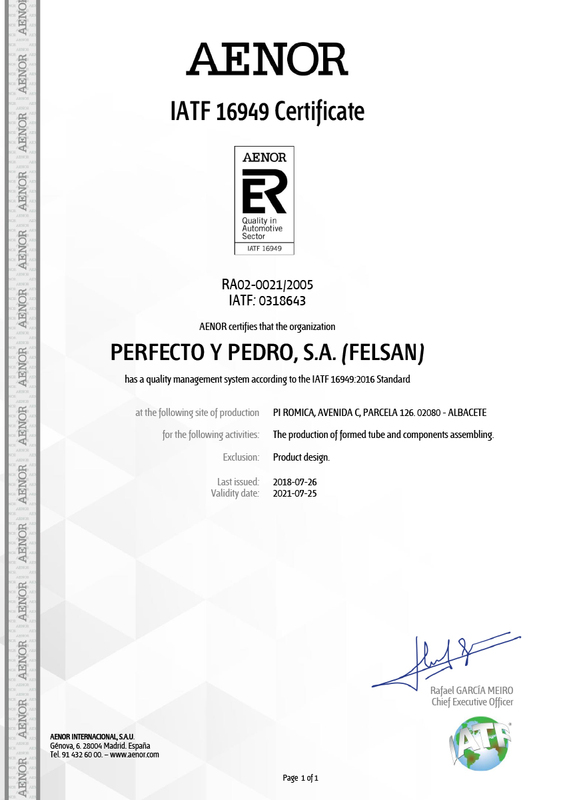 The ISO-9001 certificate certifies that the management system FELSAN quality meets the requirements of ISO-9001. 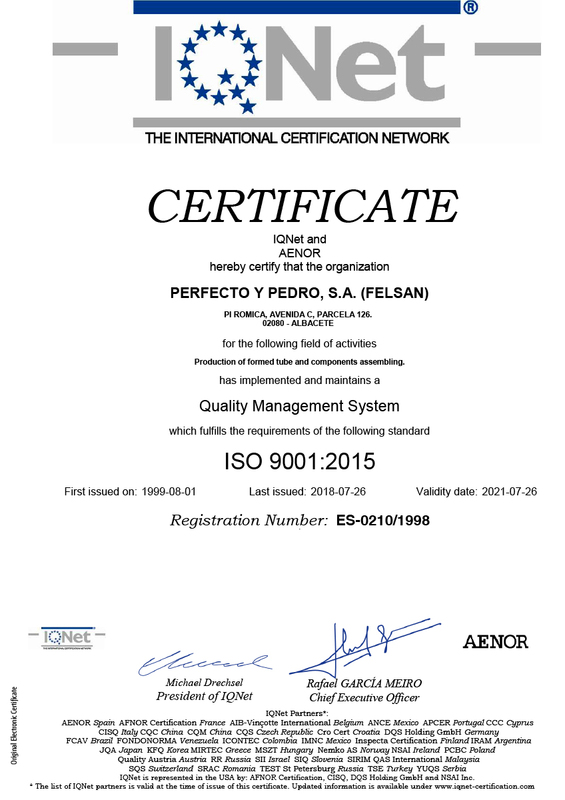 The IQNet certificate certifies worldwide that are certified according to the ISO-9001.